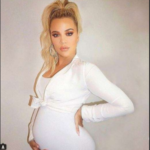 Reality star and businesswoman, Khloe Kardashian has given birth to her first child with boyfriend Tristan Thompson. Khloe gave birth to a baby girl early Thursday morning at a hospital outside Cleveland … according to TMZ. This comes days after Tristan’s cheating with other women was revealed by TMZ. The newborn baby girl does not have a name yet. 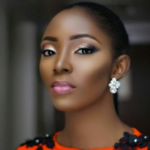 Ivie Okujaye: Actress Welcomes Baby Girl!